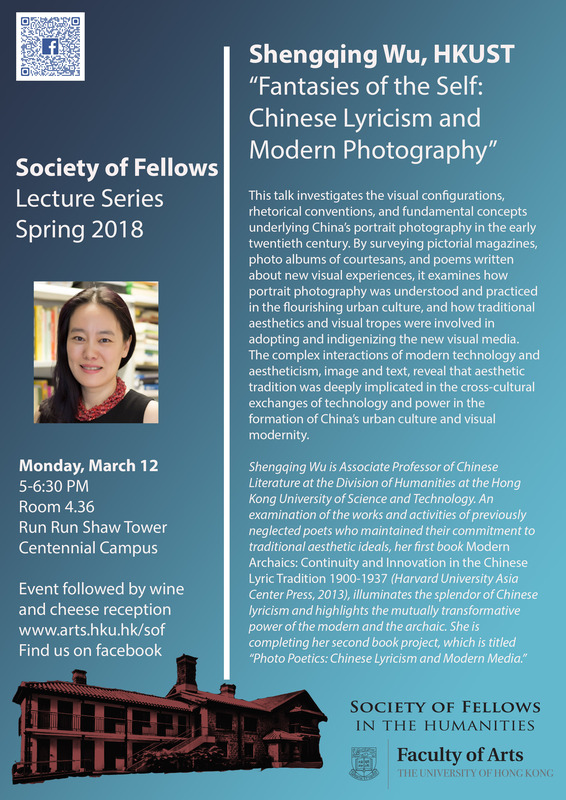 This talk investigates the visual configurations, rhetorical conventions, and fundamental concepts underlying China’s portrait photography in the early twentieth century. By surveying pictorial magazines, photo albums of courtesans, and poems written about new visual experiences, it examines of how portrait photography was understood and practiced in the flourishing urban culture, and how traditional aesthetics and visual tropes were involved in adopting and indigenizing the new visual media. The complex interactions of modern technology and aestheticism, image and text, reveal that aesthetic tradition was deeply implicated in the cross-cultural exchanges of technology and power in the formation of China’s urban culture and visual modernity. Japan, Britain, and the Crisis of Empire in World War II: Wilsonian Empires at War?